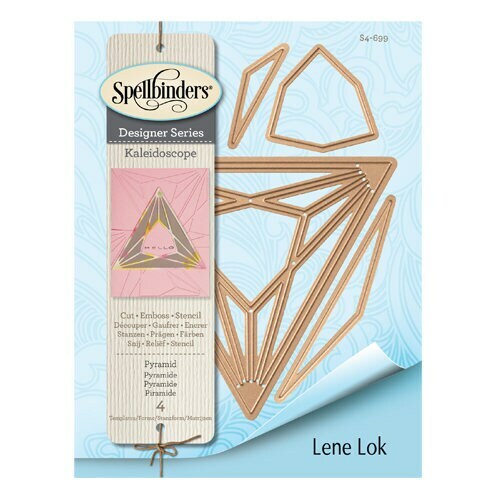 This Shapeabilities Pyramid Kaleidoscope by Lene Lok Etched Die set would make an awesome addition to your die cutting collection. 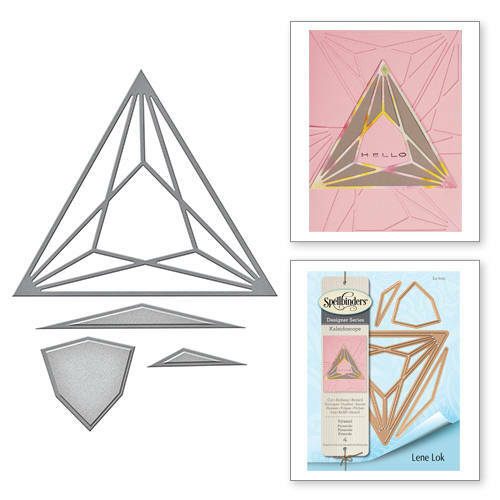 We are excited to introduce new licensed designer Lene Lok with her Kaleidoscope Collection! Lenefs passion for design reflects her Scandinavian background defined as minimalist with her clean, modern and geometric styles. Spellbinders® Shapeabilities® cut, emboss and stencil with a single die template. 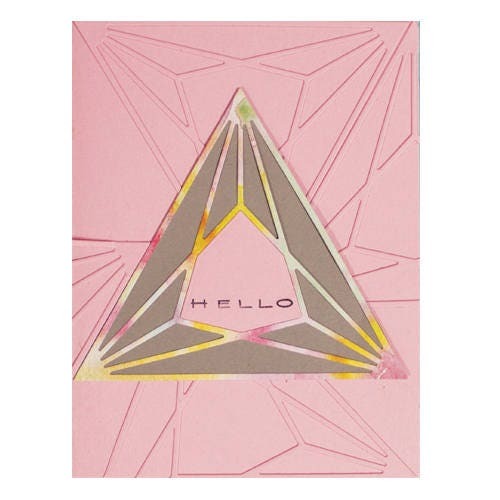 This four piece die set includes a beautiful pyramid shape with lined designs to highlight the center. Also included are three accent pieces to layer or use alone to create a contemporary background.